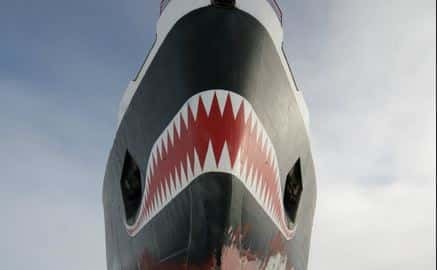 If you have a difficult job to do then you might as well do it with a smile, like this rather happy nuclear icebreaker. 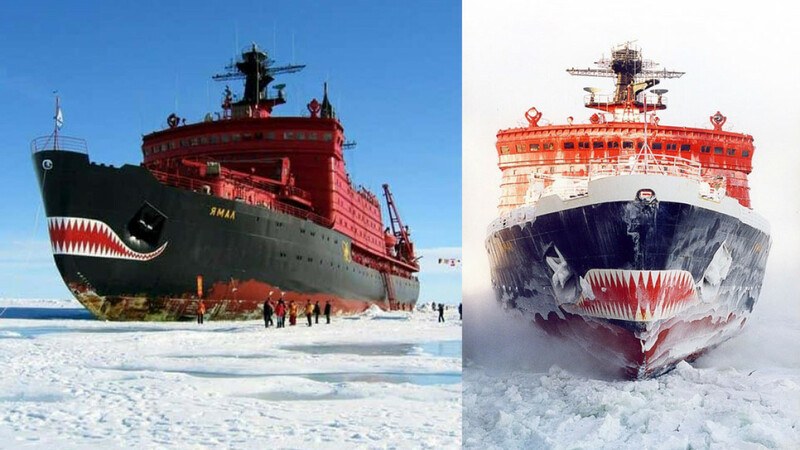 At first all of the ships belonging to the 'Arctic' icebreaker series were painted in a bright yellow. It soon became evident that the ships could not be seen clearly from the air when they were yellow so the change was made from yellow to bright oranges or reds. As you can see this one features the bright red but it is also very, very happy! 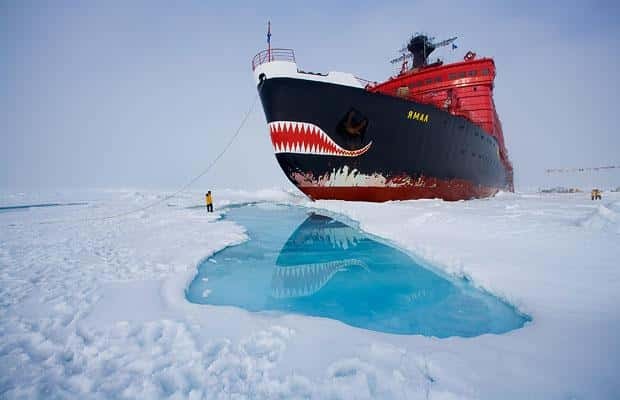 Tourists have had the option of taking trips to the North Pole on nuclear icebreakers such as this one since the late 80s. This one however has a special mission! 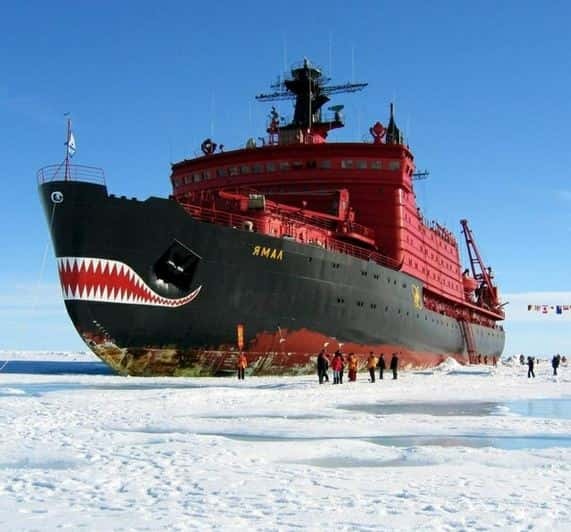 This ship is named "Yamal" and in 1994 it began taking children on expeditions to the North Pole. Children from many different countries have traveled on this ship and the trips were organized in cooperation with charity organizations.